Blog South African Fashion Week Announces Spring/Summer 2019 Luxury Collections Program! South African Fashion Week Announces Spring/Summer 2019 Luxury Collections Program! Distinctive craftsmanship and bespoke detailing will be the order of the day at South African Fashion Week’s (SAFW) Spring/Summer 2019 Luxury Collections in Johannesburg this year. Announcing the line-up for the four‐day event in April, the 21‐year old business‐to-business platform reiterated its single‐minded commitment to promoting a world‐class African design ethos and industry across the continent. Equally important is the bi-annual SAFW Trade Show that will run parallel to the runway collections and will showcase fifty carefully curated women-°©‐ and menswear, jewelry, millinery and accessory ranges. The Woolworths Style By SA showcase will open the 34th season of SA Fashion Week. In a fitting finale to this ground‐breaking collaboration that has built a significant retail presence for local design over the past 3 years, the show will include internationally acclaimed Thebe Magugu as well as Mmusomaxwell and Wanda Lephoto. According to SAFW director Lucilla Booyzen, the broad‐based consumer exposure that this initiative gave to South African design will have a major and ongoing positive impact on the industry despite coming to an end this season. She saluted Woolworths for its bold vision and continued support. 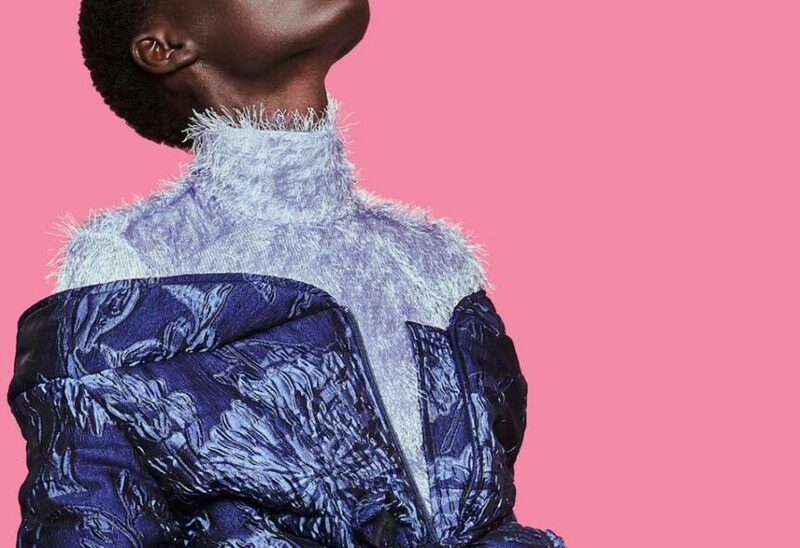 Magugu, who was listed as one of Vogue Italy’s 2018 Vogue Talents, recently also scooped the winning award at London Fashion Week’s International Fashion Showcase exhibition of the fifteen exciting new creatives to watch, with his distinctive globalized African signature. The 25‐year-old, Kimberely‐born talent is one of the 20 international shortlisted designers for prestigious LMVH Prize 2019. This honor is more weighted given that he was chosen from over 1700 applicants in the world! Magugu shares the show with design duo MMUSOMAXWELL who hit the headlines when mega‐star Beyoncé wore one of their looks at the Global Citizen Festival Mandela 100 in December last year. Both these 2018 SAFW New Talent Search Winners are currently stocked in luxury boutique, Luminance. Designer Wanda Lephoto who continues to feature an exciting collaboration and fuses cultural stories to educate people through style completes the line-up. Featured in SAFW’s Twenty‐One Years of SA Fashion Week retrospective book available on the SA Fashion Week website and in Sandton City, Exclusive Books, industry stalwart Amanda Laird-Cherry, who launched her first collection at SAFW in 1999, returns for a double bill with equally iconic perennial, Clive Rundle. Following a long tradition of turning fashion inside out with his wizardry, the self-proclaimed constructionist will be working with mad-made corregation as a trope to interpret pleats with conceptual references ranging from rice paddies to the earth’s shifting tectonic plates – all interpreted in slate greys and teal blues with copper foiling. The evening wraps with three brands that have each carved highly successful niches for their respective aesthetic. Cape Town‐based Helon Melon has collaborated with local mills like Svenmill and the SA Mohair Cluster to create a highly wearable, sustainable and ethical fashion collection that will be available online immediately after the show. Eco-inspired Lunar starts a fresh chapter in the brand’s 21-year history with new owner and creative director, Nicola Luther and former Stoned Cherrie designer, Sonja Stanislaus-Kaw Di-Aping, working with natural fabrics including cotton, linen, Tencel and Rayon to explore the beauty and complexity of the South African landscape through the lens of great South African literature with origami-inspired pleating and eloquently structured proportions and shapes. SELFI by founder Celeste Arendse derives from the idea of self, self‐empowerment and a personal agency with each collection an expression of authenticity and self‐hood. African Style Story’s chic ready-to-wear is currently being stocked locally and internationally inter alia by stores such as Lalauxxe, B. Scene, Icon, and Prey boutiques as well as online at Zando and Muster as well as at Happy Company in Lisbon. “I love the many shapes and sizes of women in South Africa,” remarks Isabel de Villiers. “More than anything it is the curves of the female form that inspire me,” says the Pretoria based designer, who has become synonymous with the concept of inclusive fashion, about her new collection which will feature nine plus‐size models this season. Judith Atelier, who works to create the ‘Epitome of Female Sophistication’, recently made her collection debut on Zando.co.za, further expanding her high-°©‐end, couture brand. Fashion’s headline king, Gert-°©‐Johan Coetzee, again walked the talk when he dressed Oprah Winfrey for the Global Citizen Festival Mandela 100 in December last year and will undoubtedly continue to wow us when he takes to the runway for his 18th season. In line with the South African Wool Industry’s strategy to promote the exquisite luxury of sustainably‐produced wool as a highly desirable designer fibre, Cape Wool SA will once again join forces with womenswear brand Erre and Carlo Gibson’s Klipa menswear. An unabashed love of the theatrical combined with a keen sense of commercial wearability has marked Klipa as one of the most exciting labels to watch since launching in 2018. This season will see its’ strong African‐inspired aesthetic mix winter and summer into a textured cocktail of natural fabrics – wool, jerseys, cotton ‐ starting with black and moving to color in a dynamic visual representation of ongoing inclusion. the Shembe to the holy mountain of Nnhlangakazi. from the SAFW 21 Steps to Retail Programme. students take up the challenge of presenting their interpretation of the “Art of Fashion” Collection. The final day of SS19 opens with frontrunner of the country’s gender‐neutral fashion movement, De Mil’s distinctive aesthetic. Ephraim Molingoana, a much-adored veteran of SA Fashion Week, has been refining his authentically South African Ephymol identity for two decades. Expect his Men of the World Collection to be a spectacular homage to the past 22 years. Closing the Spring/Summer 19 season is powerhouse Loxion Kulca, that will be making an unforgettable statement on the runway to mark twenty years as an iconic local brand. “Loxion/lock-°©‐shin/location” is a unique South Africanism to describe townships, ghettos, disadvantaged and under‐developed areas, and the brand’s DNA has been to capture this distinctive meaning of “home” and the urban African state of mind it represents when combined with the historic pride, identity and hard‐won freedom conveyed by the idea of Kulca (culture).